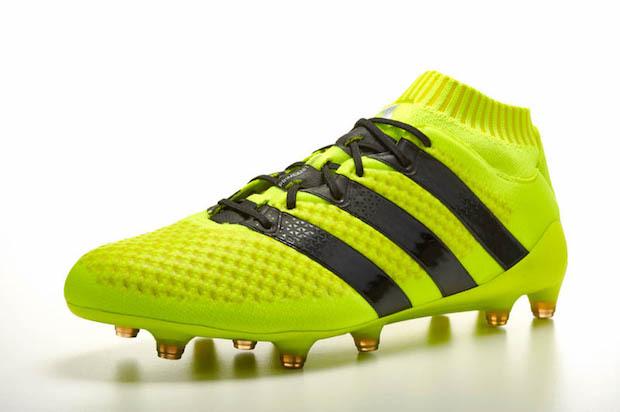 Primeknit has been a huge hit for adidas since it was first introduced into soccer as limited edition cleats. The ACE 16.1 Primeknit came in as a release I was personally excited of because it was the Primeknit option with the laces instead of the PureControl. I think one of the biggest things I noticed straight away was the level of comfort you feel as soon as you pull these on and lace them up. 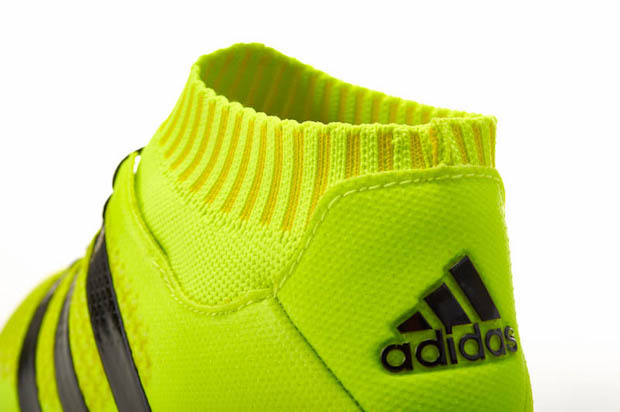 The upper is already soft and flexible and will even get softer in time, I could tell from the start that the ACE 16.1 Primeknit was going to be a boot I thoroughly enjoyed wearing. The ACE Primeknit looks great in any colorway it is dressed in. I personally tested the Silver Metallic and Core Black colorway and thought the boot looked perfect. 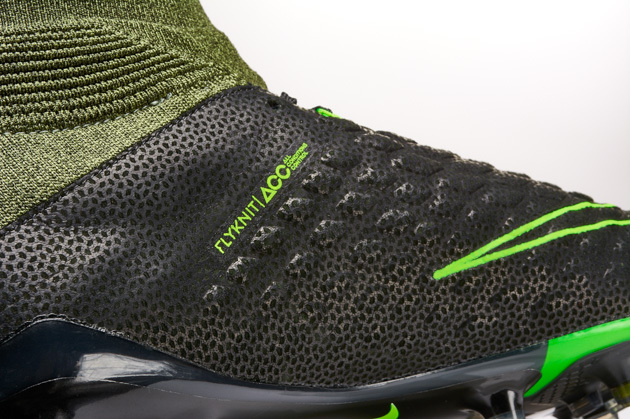 Along with the colorways, the lowered collar gives the look that most players have been wanting after Cristiano Ronaldo introduced a similar length sock on his personalized Mercurial Superfly. There is plenty of colorways available now in the 16.1 Primeknit with the Solar Yellow colorway being the latest. No matter what colorway you swing for in the Primeknit, it will look great on feet. This boot did not disappoint in its first impression or its time-tested performance. 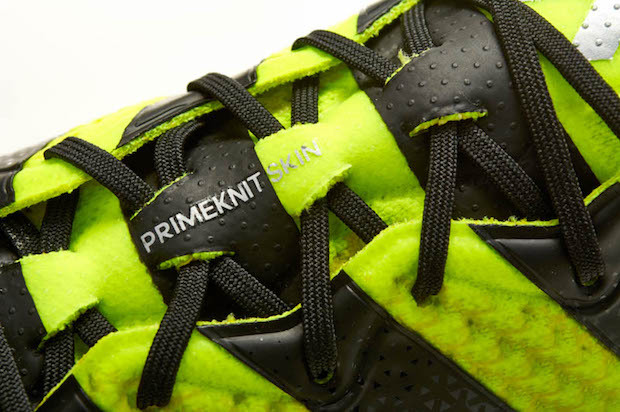 The socked cleat boasts an all Primeknit upper with some different feel to the knitting. The sock is exposed Primeknit and feels, well, like a sock. It is the most comfortable and easiest to pull on sock of any of the high end cleats I have tested in my time. The upper is a bit thicker than what we have seen on previous Primeknit uppers but in my opinion it’s for the best as it will help increase the longevity of the cleat. 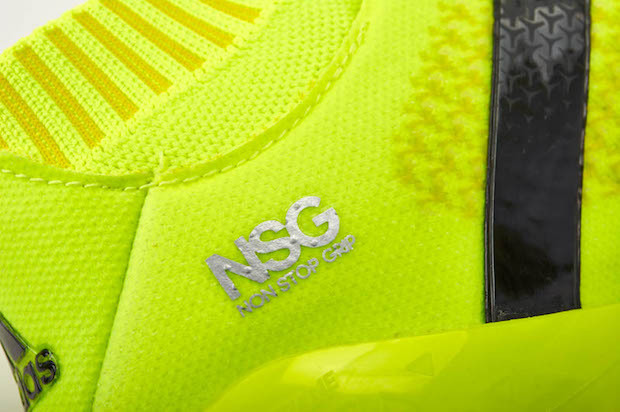 The upper also features little dots that we have come to know and love with adidas cleats called NSG, or Non-Stop Grip. The NSG texturing does some, but not a lot, in terms of adding grip in wet weather but it is still a nice feature to have (even if it is mainly just for marketing purposes). The tiny bit of extra padding inside the shoe and the upper creates a nice feel for the ball when controlling, passing, and striking. The laces are centered so that you have a more classic feel for the lacing system and how the cleat feels. 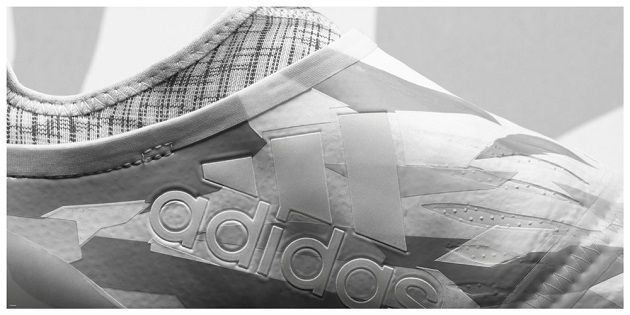 The ACE lineup is created to be the perfect boot for the creative players who control the match. I believe adidas have created a perfect blend of comfort and tech to create a boot that is a great option for any player, regardless of position. I personally play striker but can play center back at times and truly enjoyed every moment in the ACE Primeknit. The part I loved most about the cleats was that I could enjoy my soccer with zero distractions or worry about my boots being uncomfortable or falling apart on me. 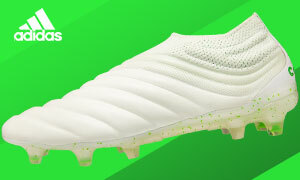 Performance-wise, this is one of the best boots on the market right now. The inside of the boot is a compression sock that helps lock your foot in even better than normal cleats and this is something you notice when pulling the boots on. I had to loosen the laces up and then readjust them to get the cleat comfortable from the get go. After that first little issue, the compression inside just felt like a second sock that kept you nice and securely in the cleat. Overall, you are getting exactly what you pay for with the ACE 16.1 Primeknit. A high quality, knitted boot that ticks all the boxes in terms of what you want from a high-end boot. I cant speak highly enough about the Primenit ACE. The comfort of the ACE 16.1 Primknit is a huge plus. The locked in feeling while having a wider foot base, gives the it a wider audience of players. The Primeknit upper and sock are soft enough that it feels luxuriously comfortable all around your foot. I only had one complaint with the comfort, during the break in process and the first session on the field, I experienced some rubbing on my big toe but I had no more issues after the shoe was broken in. The ACE 16.1 Primeknit normally retails for $225 which is $50 less than a Superfly or Obra if you are a sock fan. Over at SoccerPro.com, you can pick it up for around $200. 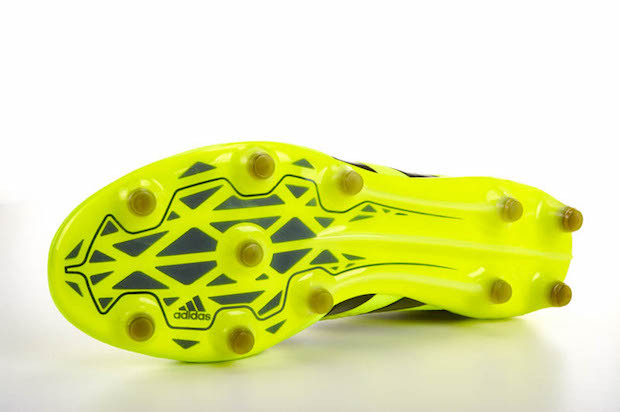 That is a normal ACE 16.1 price, but you get all the benefits and technology of Primeknit for the same price. I would say anything under retail is more than worth this cleat, a great bang-for-your-buck high end cleat. Eliaquim Mangala, Morgan Schneiderlin, and a host of other players wear the ACE 16.1 Primeknit over the laceless PureControl. Many of the big adidas athletes reach for the PureControl as they are contractually obligated to wear the laceless model instead of the laced model. One of my favorite boots I have worn in recent memory. I can say without a doubt that this is my go to boot and will be until something displaces it in the future. The comfort, upper, and lock down that comes with the ACE 16.1 Primeknit are superb and combine to create one incredible release. The FG/AG soleplate on the boot helps make this an option for players who play on every type of field which is a huge plus for me. 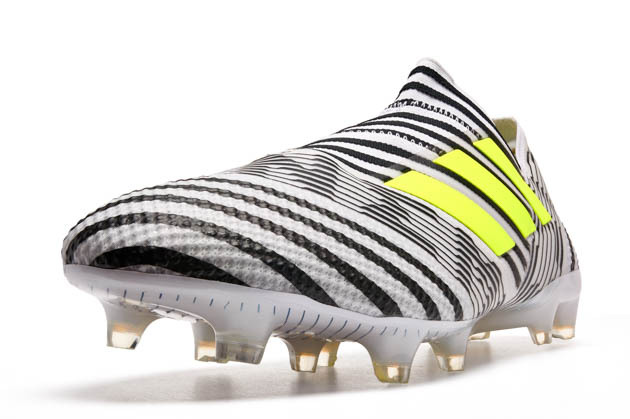 Adidas has knocked it out of the park here, if you are looking for your next boot regardless of position, here is my suggestion for you, the ACE 16.1 Primeknit. Does the 16.1 shoe come in a size 3? Bought blue ones, my kid loves them and now I can’t find any color 16.1’s in a size 3. I can only find 16.3’s. Any idea why? Are 16.1’s no longer made in a size 3 in the second generation?